There was a horrible sense of déjà vu at the end of the Test in the Stade de France. The last time England ran out together was to face the All Blacks back in November. A year has come to an end since then, but it was a far too familiar scene. Back then, England found themselves on the wrong end of a 17-3 score midway through the first-half. They rallied, grew as a team and took the lead. But they failed to shut out the match and the All Blacks chipped their way back and won the Test. Games are won over 80 minutes, not in one or two. Fast-forward to February 1, 2014, and England were 16-3 down against France. Yes the bounces of the ball went against them for Yoann Huget's brace, but it is the same pill for both teams; sometimes it goes your way, on others Lady Luck favours the opposition. But England didn't sulk and similar to the game against the All Blacks, their collective will saw them take a lead. It was an advantage they failed to retain as Gael Fickou mercilessly punished Stuart Lancaster's flagging charges. Much was made of England's lack of experience before the Test. Jack Nowell's first introduction to international rugby was to knock the ball on off a restart. But credit to the Exeter winger, while at times he was a little suspect positionally, he was not a rabbit in the headlamps - far from it. He grew as the game went on and should start against Scotland. The same can be said for Luther Burrell who outplayed his opposite number Mathieu Bastareaud. In a few years, he will look back on try-scoring Test debut with some fondness but tonight, he will be hurting. What harmed England and their early organisation was Jonny May going off after six minutes. The structure they built during the autumn Tests with Mike Brown at fullback went out the window as he shifted to the wing to cover the broken-nosed May. But Brown played well as did Goode. Billy Vunipola deserves plenty of praise for his bulldozing brilliance while Danny Care cemented his colours to the mast as England's number one scrum-half. Lancaster's decision to substitute both when England were in the ascendancy, with that wonderful luxury of hindsight, now looks premature. Owen Farrell also controlled the game well with an authority that has grown since last year's championship. England have definitely grown as a unit, of that there can be no doubt. But this was a second crack at picking an England XV from Lancaster with just seven players remaining from their 30-3 thrashing at the hands of Wales last year. Just 19 games lie between now and the World Cup - on this evidence France look a more settled side despite their dreadful run of results last year. They weren't at their best, far from it, but still won. Even without inspirational openside Thierry Dusautoir, they dominated the breakdown with Yannick Nyanga superb throughout - the host broadcasters opted for the easy way out by picking Huget as Man of the Match. England are still searching for those figures who can offer them a moment of magic - a piece of individual skill which can turn a match on its head. 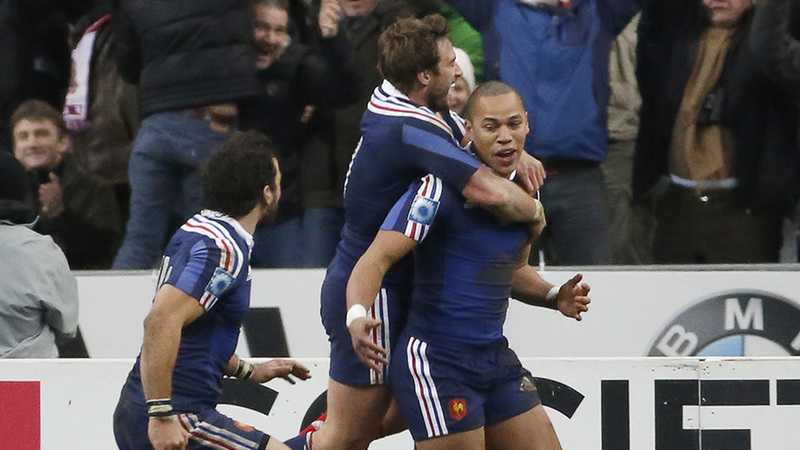 France have that in Wesley Fofana, who was fairly quiet, Fickou, the match-winner, and Huget. The scrum was also France's as England's front-row struggled with the physicality of Thomas Domingo and Nicolas Mas. For England, there are plenty of positives but talk of valiant defeats is insulting to this crop of players. They need wins, not near-victories. They need to bottle this hurt and use it constructively to ensure the scoreboard is favourable when the clock ticks over to 80 minutes next Saturday.